While the Game Of Thrones season finale has come and gone, that doesn’t mean people aren’t having fun with the series still. 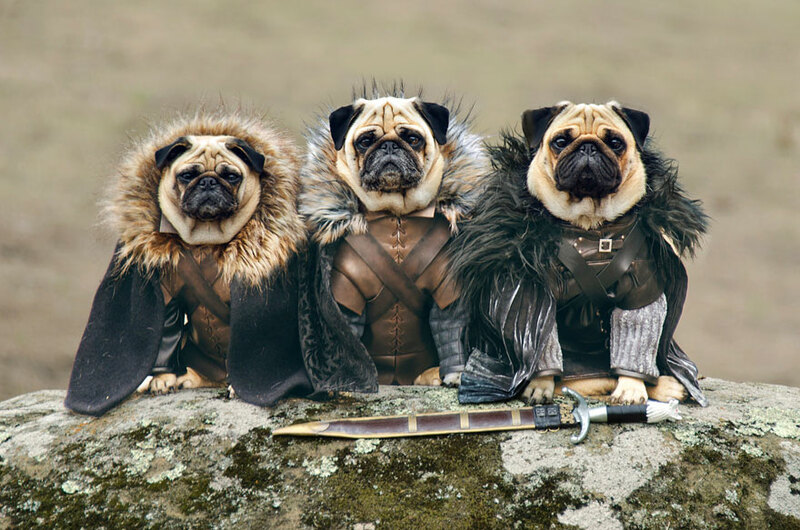 To celebrate the release of the fourth season of Game of Thrones, Blinkbox has commissioned a comical parody starring three adorable pugs. The video was put together by Phillip and Sue Lauer and stars their now famous dogs Roxy, Blue and Bono as your favorite characters from the show, like Jon Snow and Daeneys Targaryen. While King Joffrey may no longer be wearing the crown, whose to stop his representative pug from doing so? Whose your favorite character from the Thrones… or pug that is?